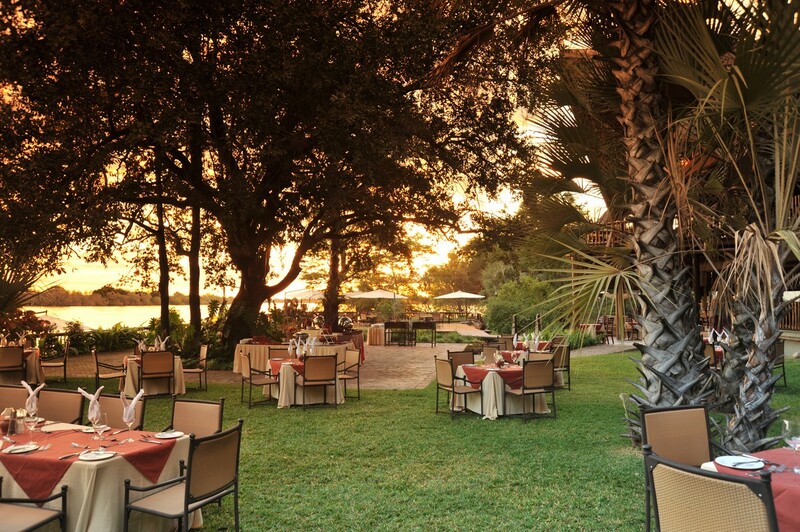 FREE transfers to the Falls or the Livingstone Museum Package excludes: 1.5% Tourism Levy & 10% service fee for tips at meal times Lady Livingstone Sunset Cruise: Park fee payable directly USD10 per person. 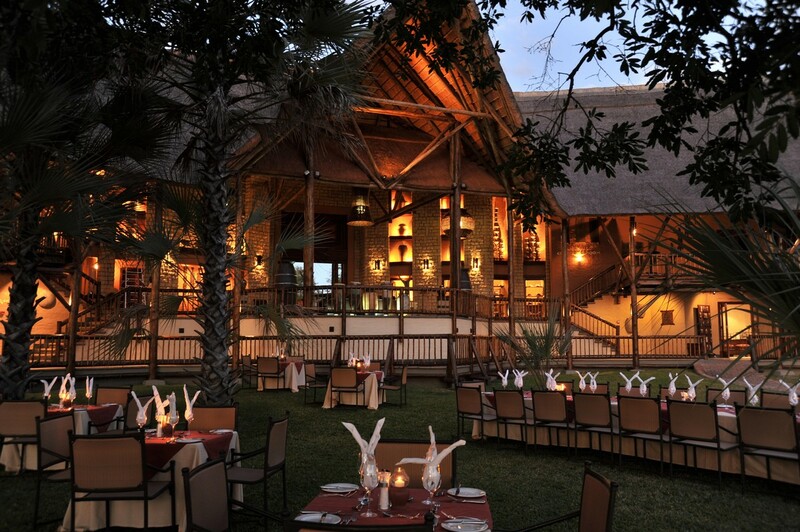 Built to blend in with the natural surrounds, this resort style property is located on 5 hectares of land, only 5 kilometres from Victoria Falls. Boasting an Afro-Arabic theme, blended with colonial influences, all 77 rooms and suites face the river adding to the special experience of being in Africa. All 72 rooms and 5 suites include individually controlled air-conditioning, television, telephone, mini-bar (stocked on request), hair dryer, tea/coffee making facilities and complimentary Wi-Fi. Offer 25 square metres of living space including a private balcony overlooking the river and resort grounds. The en-suite bathroom has a separate bath and shower. A maximum of 2 adults and 1 child may be accommodated by adding an extra bed. 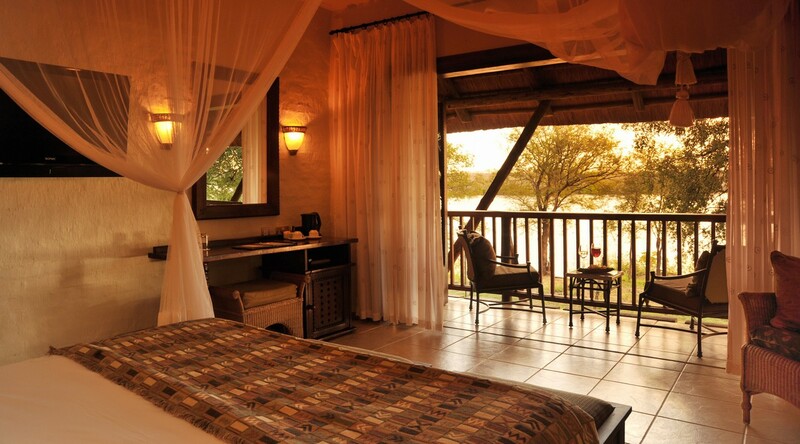 Open plan suite-style accommodation with a living area and a private balcony overlooking the river and resort grounds. The en-suite bathroom has a separate shower and Jacuzzi bath. A maximum of 2 adults and 1 child, over 8 years, may be accommodated by adding an extra bed. 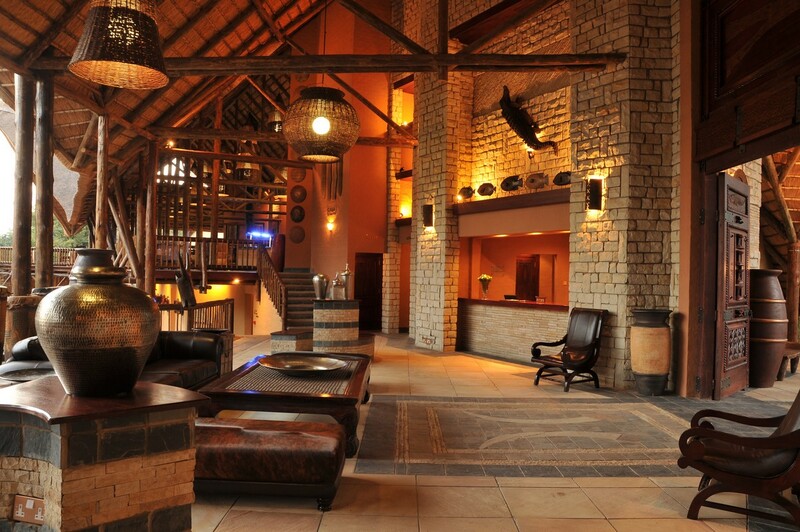 Located in the main lodge and serving buffet breakfast and an Afro-Arabian fusion menu for dinner. 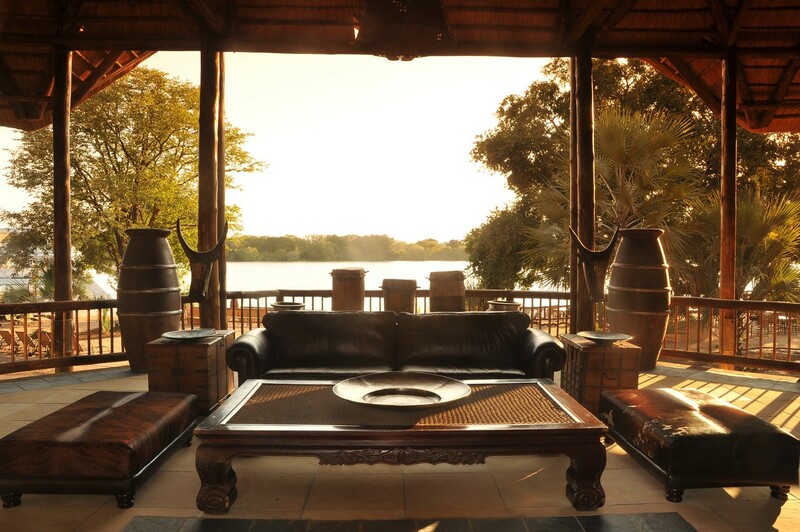 A river deck, featuring unparalleled views of the Zambezi River, offering light meals and beverages throughout the day. Serves a selection of alcoholic and non-alcoholic refreshments. The hotel’s 140-seater, 3-decked, luxury river cruiser for daily sunset cruises (2 hour duration) with freshly prepared finger snacks and a bar stocked with local beverages, local spirits and house wine.